Need something a little less conceptual and a tad easier to build? 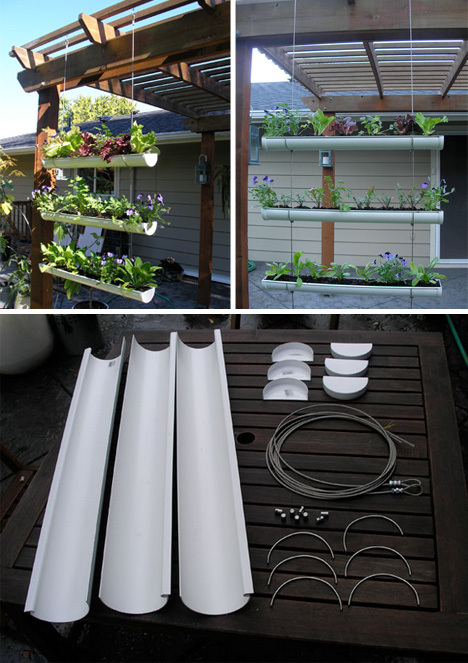 For the weekend do-it-yourself project, try this NestInStyle gutter garden composed of simple materials like PVC piping, chain link or metal wire rope. Still want something DIY-style, but perhaps of an intermediate or advanced level? 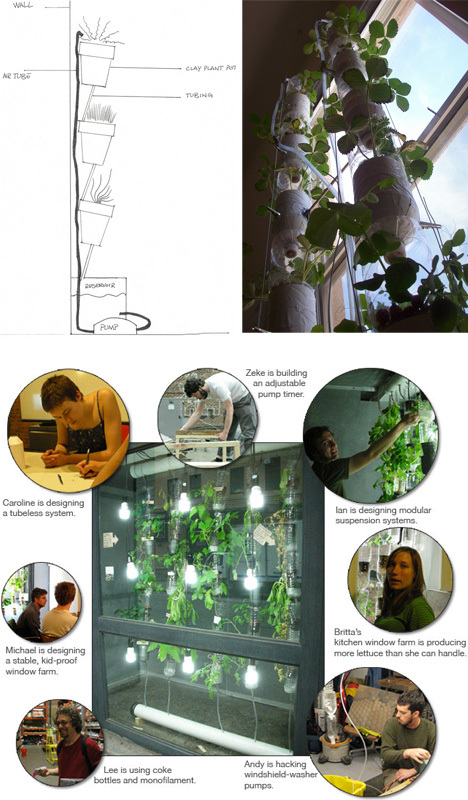 WindowFarms collects and distributes information, tips and examples of great window gardens and related technologies. So you want to fill up some non-window space with greenery, but lack the shelves or spare square footage on the floor for the task? 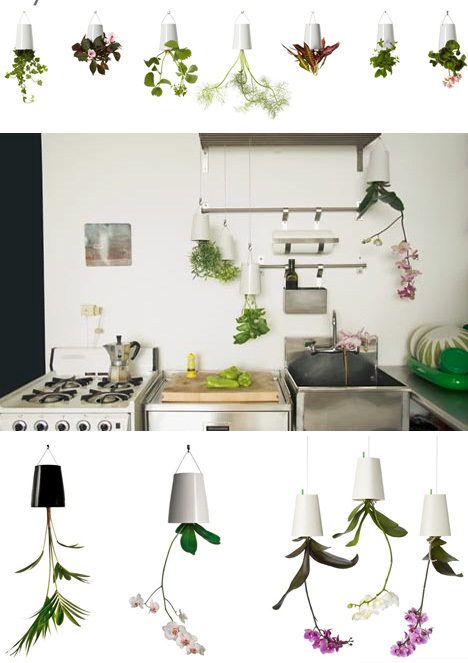 A retention disk keeps soil in place as you hang these minimalist black-or-white pots (so-called Skyplanters) by Boskke from ceilings above (or the tops of window frames, if so inclined). 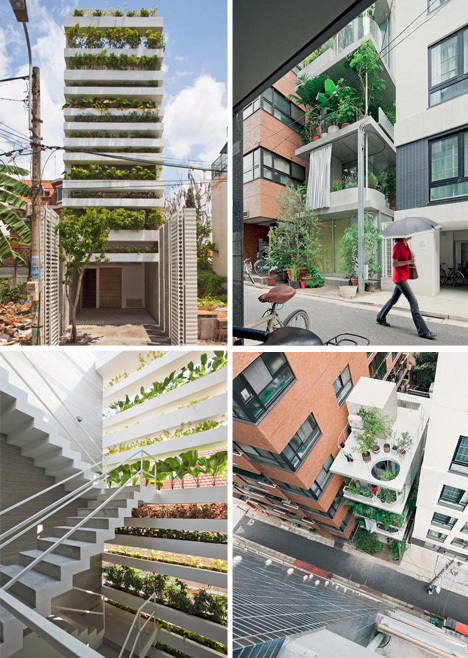 Finally, a bit of inspiration for those with the luxury of starting from scratch – this houses by Ryue Nishizawa and Vo Trong Nghia include window-oriented greenery from start to finish, creating light and privacy filters via organic green screens that wrap their respective facades.